The following is a list of upcoming local entertainment events. The Times Observer welcomes additions to the list that are of community interest. To add an event, email managing editor Jon Sitler at jsitler@timesobserver.com. Tuesdays, Thursdays, Saturdays: Have You Visited the Book Cellar? In the lower level of the Warren Public Library. Selection of books for children, Teens, and adults, plus DVDs & puzzles; priced from $.25- $4. Open Tuesdays and Thursdays from 5 to 7:30 p.m., Thursdays and Saturdays from 11 a.m. to 2 p.m., or whenever you see Sherm the Book Worm flying outside. Dec. 7: Christmas Walk & Parade: Walk, 5 p.m., parade, 6:30 p.m.
Dec. 7: Victorian Christmas Open House & Trolley Tours: Friday, 6-8: 30 PM, Warren County Historical Society, 210 4th Ave., Warren. Live music, refreshments, decorations. Trolley $7/rider. First come, first serve. Dec. 8: Jazz, Blues & Two Tattoos – Instrumentals and Vocals, 7:30 p.m. at Struthers Library Theatre, Warren. For more details, call 814.723.6505 or email warrenconcertassociation@gmail.com. Dec. 9: Grace United Methodist Church Choir presents its annual Christmas concert: “What Did the Star See?” 3:40 p.m.
Dec. 14: “It’s a Sugar Grove Christmas,” 5 to 7 p.m., with Santa Claus and fireworks. Dec. 15: Christmas Irish Dance Spectacular: Carol of the King, Struthers Library Theatre, 8 p.m. (814) 723-7231. Dec. 15, 16: Molly Dies’ Dance Express presents “A Christmas Spectacular” — new storyline, new location, Warren Area High School; Saturday, 2 p.m. and 7 p.m. shows; Sunday, 2 p.m. only. Tickets can be purchased at the door; doors open one hour prior to show times. Dec. 19: St. Joseph School is hosting Erie Roman Catholic Diocese Bishop Lawrence Persico; he will concelebrate the children’s Mass at 9:05 a.m.; visit with students in classrooms; and join students for annual Christmas feast at 11:30 a.m.
Feb. 23, 2019: David LaMotte — Folk Singer/Songwriter, 7:30 p.m. at First Presbyterian Church, Warren. For more details, call 814.723.6505 or email warrenconcertassociation@gmail.com. March 9, 2019: John Whelan and Low Lily – Irish and American Roots, 7:30 p.m. at Struthers Library Theatre, Warren. For more details, call 814.723.6505 or email warrenconcertassociation@gmail.com. April 6, 2019: 8 p.m., Struthers Library Theatre, Warren, Creedence Clearwater Revival (CCR) Tribute by Green River, For tickets, call (814) 489-3110, or online at yankeebushproductions.com. 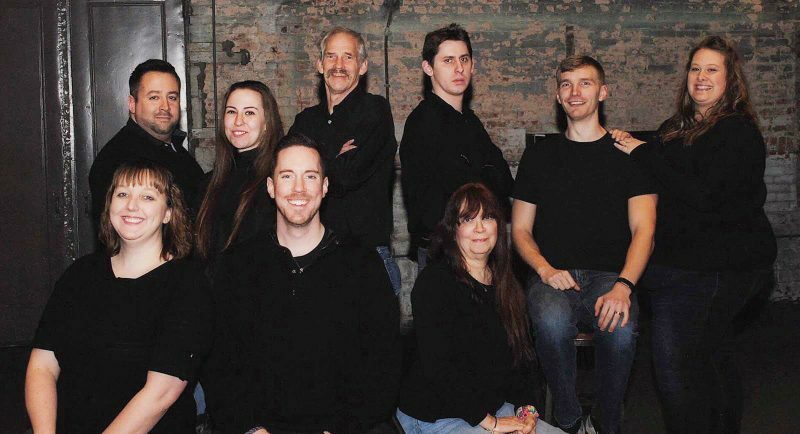 May 11, 2019: 8 p.m., Struthers Library Theatre, Warren, Eagles Tribute by 7 Bridges, For tickets, call (814) 489-3110, or online at yankeebushproductions.com. June 1, 2019: SLT Academy’s National Rural Musical Theatre Awards Show, Struthers Library Theatre, 2 p.m. and 8 p.m. (814) 723-7231.